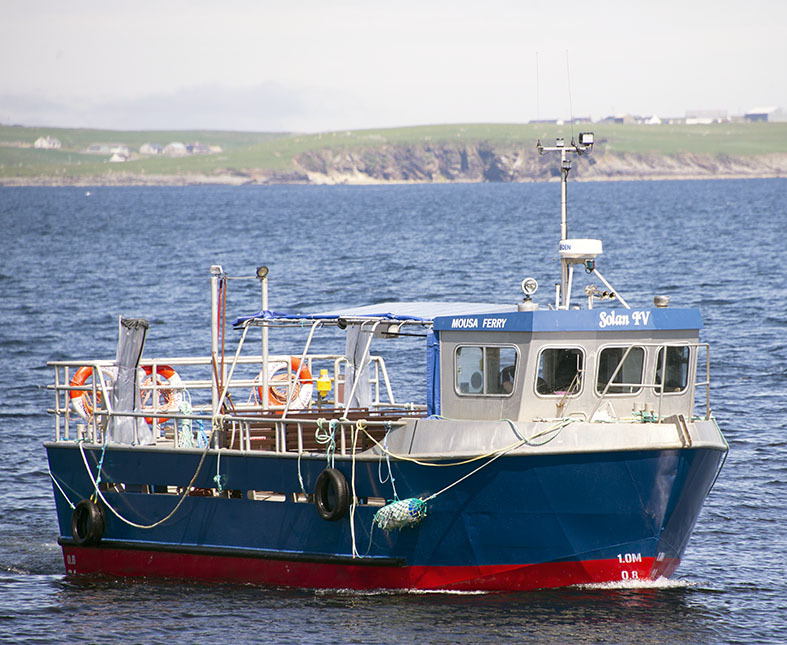 The island of Mousa is a special place for several reasons, and anyone visiting Shetland during the summer months should find time to take the short boat ride from Sandsayre on ‘The Mousa Boat’. To begin with, Mousa lies directly on the 60th parallel: 60 degrees north of the equator, 30 degrees south of the north pole. 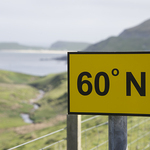 Of course, if your intention is simply to go farther north than 60 degrees then the south mainland of Shetland works just as well and avoids the boat trip. 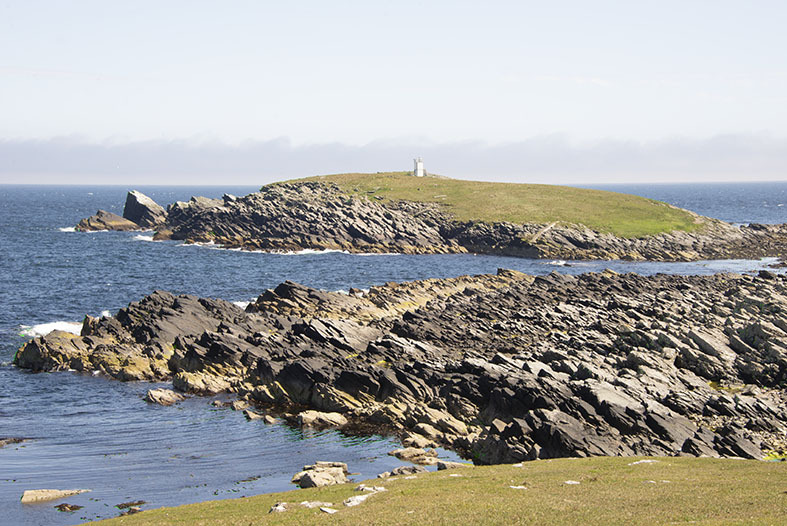 For many visitors, Mousa’s claim to fame rest on its broch, which ranks among the best-preserved Iron Age fortification in Britain, and probably Western Europe. This impressive 2000-year-old round tower rises above a rocky shoreline, one of a pair of brochs overlooking the narrow Mousa Sound. The other is at Burland on the Mainland, and together they may be part of a string of Shetland brochs, visible from each other, possibly as beacons. Brochs are a kind of Iron Age roundhouse found only in Scotland, and Mousa is the best-preserved of them and thought to have been constructed about 2,300 years ago. 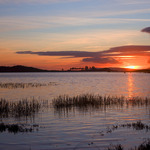 It stands 13m tall, a symbol of Scotland’s prehistory. Mousa appears twice in Norse sagas. One recounts how an eloping couple took refuge here after a shipwreck en route to Iceland in the year 900, while that great historical narrative of the islands of Orkney and Shetland, the Orkneyinga Saga tells how in 1153, Erland the Young abducted Margaret, widowed mother of an Orkney Earl, took refuge in Mousa. 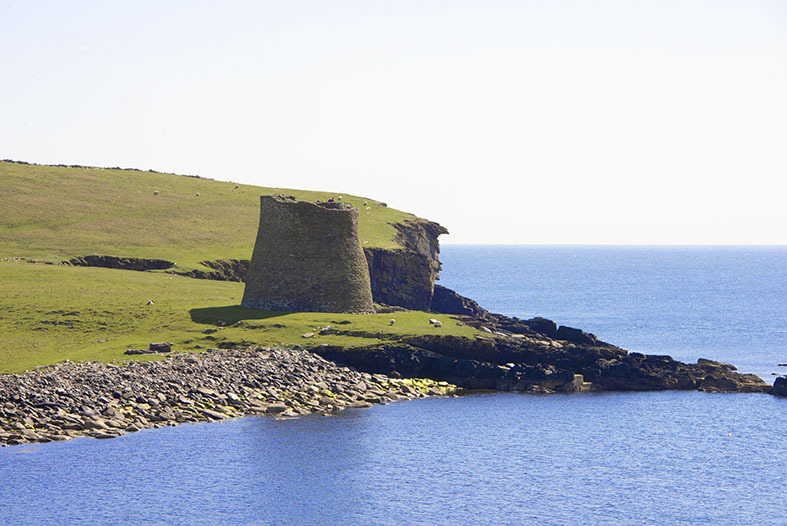 Earl Harold followed and besieged the broch but found it ‘…an unhandy place to attack’. Many brochs were the focus of a settlement – Carloway in the Outer Hebrides is a good example of this − but there has been no detailed archaeological investigation to confirm whether this was true on Mousa. What particularly impresses about Mousa broch is its height, and it is doubtful that it was ever much higher than the remains we see today. One reason may well be that it escaped stone extraction for use in nearby stone walls and croft houses, of which scant evidence remains. There was never a sizeable population here. 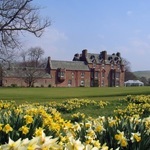 Most visitors make directly for the broch, but there is merit in starting first on a clockwise circuit – the Mousa Circular − by crossing the two inlets, West and East Ham, that almost divide Mousa. Norse invaders tended to consider an island to be something that they could circumnavigate, and in several places across Scotland, this included being able to drag a boat over land. So, for them, Mousa was considered two islands, North Isle and South Isle, and the grassy path across the narrow neck of land is the way they would have travelled, although quite why they would do that is not clear; it would take far less effort simply to sail from one inlet to the other. 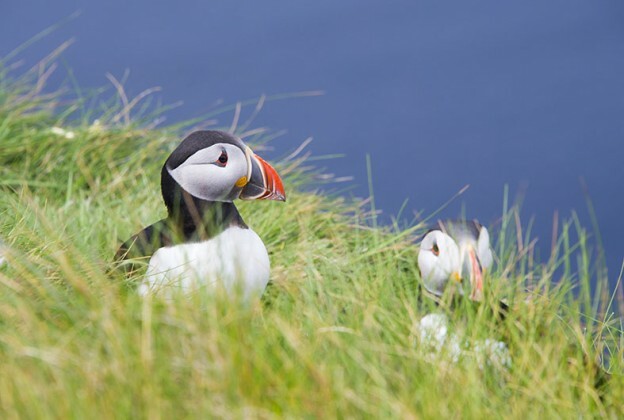 Because the whole of Mousa is designated as a Special Protection Area (SPA) under the European Union Directive on the Conservation of Wild Birds and run as a reserve by the Royal Society for the Protection of Birds, visitors are not free to wander at will. Instead, a series of marker posts lead the way and guide you to several places where the coastal scenery is rugged and outstanding. Visit in April and May, and you’ll have a wealth of birdlife for company from the ubiquitous Great skua (called locally ‘bonxies’), which have distinctive white flashes on their otherwise dark wings, to the slightly smaller Arctic skua; both species can be aggressive during the breeding season and will attack anyone they judge to be too close to their nesting ground. 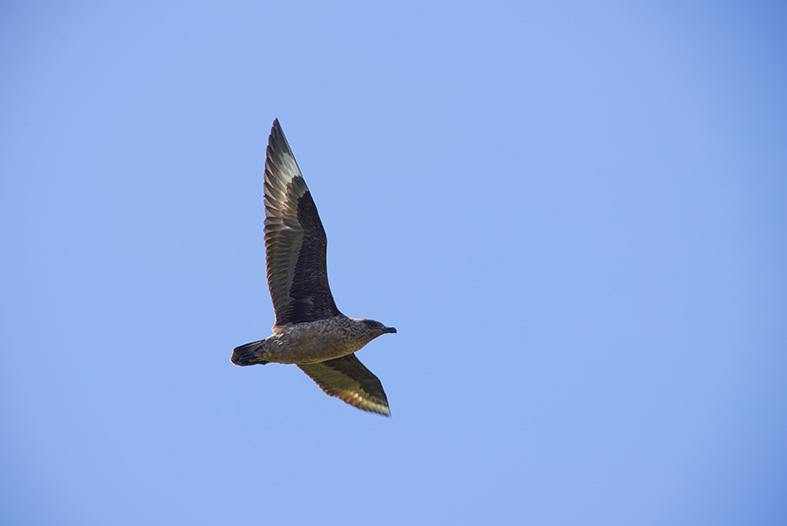 Unlike the vexatious Arctic tern, the skuas rarely make contact; it’s those white, flighty, swallow-tailed menaces you really need to be wary of – an umbrella overhead usually works well as a deterrent. 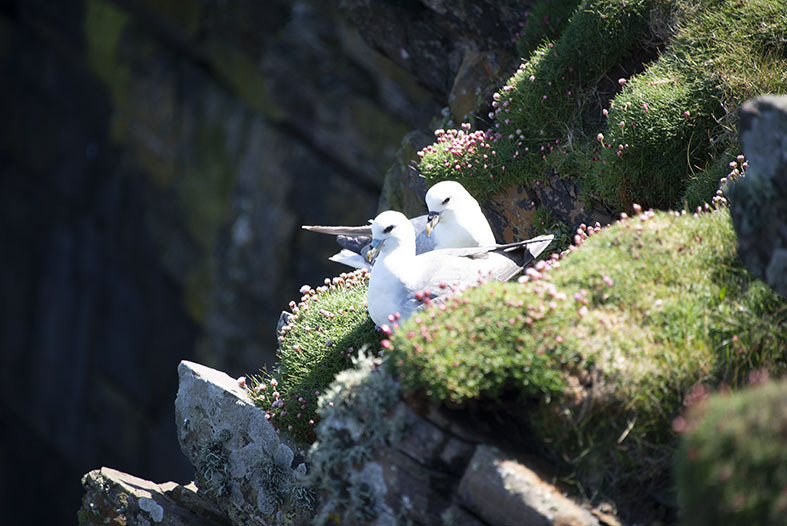 Among the east-facing cliffs you’ll find cormorant, black guillemot, shag, common gull and fulmar, maybe even a kittiwake or two, or passage purple sandpiper taking a breather, while on the tiny loch just before the path reaches the broch, it is not uncommon to see red-throated divers. And just offshore, harbour porpoise, grey and common seals regularly bob up to see what you’re doing. Ornithologically, Mousa holds almost 7,000 breeding pairs of European storm-petrels, which represents about 8% of the British population and 2.6% of the world population. Unfortunately, these diminutive visitors spend their daytime out at sea and only return under cover of darkness when the threat from other species, who view them as al fresco snacks, is much less. To give bird watchers a chance of seeing this rare species, the Mousa Boat runs late evening trips to the island, usually from 10 pm, and returning around 1 am; so, not for those who like to go to bed early. But a privileged and thrilling sight for those who are happy to forego a few hours of shut-eye, as these tiny birds dash for cover like so many demented bats, whirling around above your head as they head for cover among the rocks.